Rewards:You will earn 9 rewards points for purchasing this item. 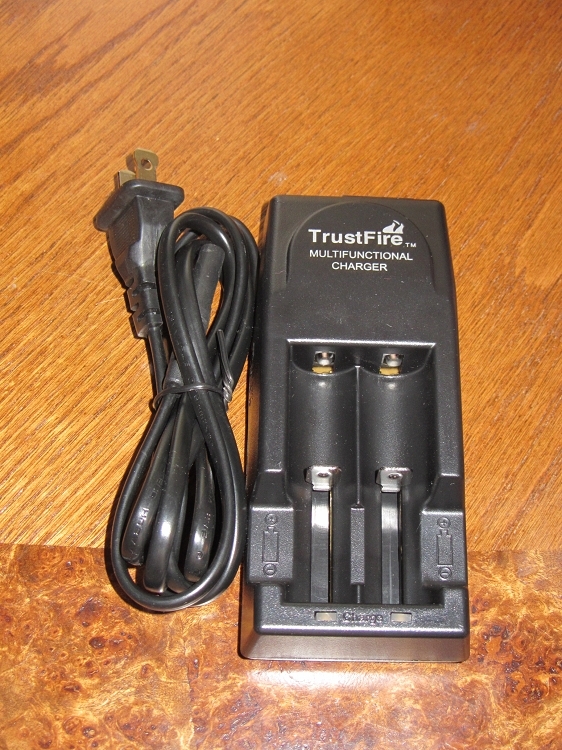 Trustfire TR-001 Dual channel Lithium Battery charger. 4.2 volt, 500ma output charges batteries quickly..
Works with most any cylindrical Li-Ion or IMR 3.7 volt batteries: 18650, 18500, 18350,17670, 16340, 14650, 14500, 14430, 10440. Unit failed after 5 weeks. I have used this only about 1/2 dozen times so far, but it functions well enough. I place 2 x 18650 batteries into it, and it takes 4-5 hours to fully charge (from fully discharged). That is perfectly acceptable to me, as the mod will run for days on the spare batteries. Nothing fancy, but for the price it was perfect for my needs. Great charger and price is right! very slow charger. turned out to be too slow for me. saved it as a backup for when i would be able to watch it closer. safety first always.